Tiny houses are becoming BIG business. Everywhere you look nowadays it seems there is a tiny houses sale. Turn on the television, and all the channels related to real estate have shows about buying tiny houses. Real estate magazines, and real estate websites are suddenly including these diminutive dwellings as a viable option for home buyers. There are singles, young couples, young couples with young children, and even older couples that are interesting in buying one of these tiny houses. Honestly, I have seen little kids playhouses in backyards that rival the size of many of these super small homes. Even some children’s tree houses are as big or bigger as some of these dinky domiciles. So what gives? What is the attraction of living in a house so small that just turning around almost guarantees you will hit something or someone. Anyone can build a tiny house with dedication! Tiny houses range from 100 to 400 square feet. Why live in a place that practically every square inch of space has a purpose for either living or storage? Who in their right mind would want to habit a home where privacy is simply non existent? Perhaps the biggest benefit to buying, and living in a tiny house is the cost savings. 68% of tiny house owners do not have a mortgage. 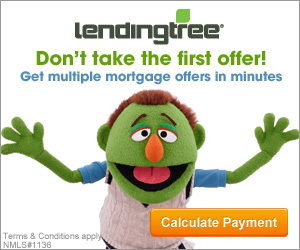 This translates into massive savings over the typical life span of a mortgage. The same amount of money that would merely cover the down payment for many regular size homes, is often enough to purchase a tiny home. The average cost of an American home is approximately $272,000. The average cost of a tiny houses sale that the buyer builds themselves is $23,000. Most Americans spend from 1/3 to 1/2 of their paycheck on their monthly mortgage payments. A tiny house on wheels is similar to an RV or a trailer. And, if the tiny homeowner takes the money that they would ordinarily use to pay down a mortgage, and invest it in a conservative instrument, at the end of 15 years, up to 30 years, they will have a very nice nest egg built up. Most mortgages end up costing the home owner upwards of 3 times the original purchase price of the home. Eliminating this financial burden is one of the smartest monetary moves you can make. But the cost savings of buying tiny homes do not stop there. You have much less space to heat, and cool, so your utility costs should greatly decrease. Click here to get a lifetime of project ideas & inspiration! The average American home is about 2000 square feet. The normal size of a tiny home in America is from 100 square feet to 400 square feet. Depending on where in the US you live, and whether you use electric, or gas, or some alternative form like solar, or wood, your utility cost savings could possibly be in the thousands of dollars yearly by living in a tiny houses sale home. And, because you are living in a much smaller house, and usually on a much smaller lot, your maintenance costs are a lot less. For a normal size home and lot, your upkeep expenses will normally run on average around $3000 per year. For your downsized home, your upkeep costs should be in the $500 or less range yearly. Some tiny homes even have an architectural feel. And, how about property taxes? Well, since property taxes are assessed on a home’s total value, they will likely be a lot less also. The same can be said for homeowner’s insurance, as well. Since it would theoretically cost an insurance company a lot less to repair or replace a tiny home, than a bigger home, due to a covered incident, these costs will drop dramatically for you also. All told, your cost savings from buying a tiny house are very significant, and by itself, are a compelling reason to downsize into one. But, if the substantial cost savings weren’t enough of a reason to do the tiny house thing, then let’s look at some additional benefits that may help convince you. Time savings. Because you have much less upkeep, and maintenance with a tiny house, and lot, you will find yourself with more time on your hands. Click here for your FREE credit report! This added time will enable you to pursue other interests, spend more time at work, spend more time with family, or whatever it is that you deem important. By simplifying your life, and eliminating the worry, and expense of taking care of a larger home, you will, as a result, also lessen your stress levels, and this will likely provide you with a better quality of life, at least psychologically. Another appealing aspect of living in a tiny house is the ecological impact. The fact that living tiny has a much smaller environmental burden, or carbon footprint, it gives one a sense of accomplishment from a steward of the earth perspective. Also, due to a tiny house’s miniscule heating, and cooling requirements, it is easier to live ‘off the grid’, which is also becoming attractive to a growing number of people. A relatively small solar panel on the roof, or a solar panel on a standard close to the house, may well be enough to provide energy to heat, and cool the tiny home. There are, however, some drawbacks to becoming a tiny houses sale owner. One of the largest hurdles to increasing the tiny houses sale craze is the issue of locating somewhere to put them. Normally, regulations of zoning dictate that square footage be at minimum numbers for initial construction sitting on a foundation, and for ‘portable’ tiny houses with wheels, sitting on a piece of property may be prohibited, as it could be considered camping, not unlike a recreational vehicle, or RV. Neighbors may be against having a tiny home in their area, as it could mean a decrease in their property values. Of course, there are the obvious negatives to living tiny, such as being in a cramped indoor environment for much of the day and night. Having little storage for your stuff. Some people consider this a positive, to simplify your existence by getting rid of possessions, but often times, having tools, implements, clothing, and other personal possessions can greatly enhance your life, not detract from it. And then there is the question of privacy. If you are single, then this is not an issue. However, if you are living with someone, and/or if you have children living with you, I hope you get along well with each other, because you will seldom be out of each other’s sight, at least while in your tiny home. What about inviting friends and family over for dinner, or to stay the night? This idea becomes a challenging proposition when attempting to entertain at your tiny house. Some tiny houses also have nice outdoor spaces. If you have a nice outdoor space, and the weather is nice, you may be able to pull it off, but if not, and you are subject to staying indoors, it could be difficult to accommodate guests, and especially so if you want them to stay overnight. A tiny house is also subject to high winds, and if it is on wheels, it is a prospective target of a thief. And you better be sure there are no big trees nearby because if one falls on your tiny house, it might not be only the house that is destroyed, but also the inhabitants lives could be. And what if a fire starts in your tiny house. It could blaze through it in no time, and create a very real danger for you, and any other unlucky inhabitants. Then there is the question of resale value. Due to it’s recent popularity, the jury is still out on whether buying a tiny home is a good long term investment. It’s safe to say that due to it’s uncertain nature of where to put the tiny home, that it’s value will not appreciate to the level of a conventional house. It is even possible that a tiny houses sale or resale value will stay the same, or even depreciate, depending on several factors, such as quality, size, amenities, and location. I suggest that if you are seriously considering buying a tiny house, do your research. Go online, and learn what you can. There are many articles, and videos on youtube about tiny homes. See if there is a tiny houses sale in your area, go out and look at them. Talk to tiny house owners, and get their feedback. See how tiny homes are treated within municipalities, and where it may be possible to build a tiny home, or move, and place one. Buying a tiny home is kind of a big deal, so do your homework. You want to make sure you make the right decision. Green houses. How to go eco friendly and save money. This is a great article. Believe you me, I have thought of it. RV living, trailer homes, etc. What I’d also like to see you add to this article or post in another article is how to deal with the government. Not only have I read the ‘tiny house’ stories, I have read how state governments penalize people for ‘living off the grid’. Grrrr! Hi Lane, thank you for your comments, and your compliment. Good suggestions. I will have to look into that further. This is a great article on Tiny Homes. Yes, living small can have its advantages and disadvantages. I should know, I’ve been living small in an RV for 7 years. I really enjoyed this article.